I’ll be honest, while I love teaching intuitive/mindful eating to clients and find so much joy in watching them transform from diet slaves to freedom-waving foodies, I know that mindful eating can be overwhelming to start. If you’re someone who has spent years, or even decades, counting calories, watching fat grams and measuring portions, then I understand that mindful eating will be an evolutionary process; it’s not going to happen overnight. To make this process seem less daunting, I start by having my clients practice intuitive eating with just one meal. While clients come to me at various stages of change, most of them know they want to do things different but aren’t sure where to start. So, baby steps. Taking things incrementally can often lead to better outcomes. Remember that we often damage our relationship with food because of past experience and emotion. We have a lot of “things” we need to work on before that relationship can fully heal. Baby steps makes the process a lot smoother. Why not start with snacking? It’s usually a smaller amount of food than meals and can be a great place to practice your intuitive eating skills. Before sitting down to have a snack, ask yourself on a scale of 1-10, how hungry am I? This will help you decide how much food you need before you even start eating. As you eat, notice your satisfaction with the food and your fullness level. Are you able to stop when you are satisfied? While I’ve been taking this approach for several years, I recently heard of the “Pistachio Principle” research that paralleled a lot of what I teach my clients. 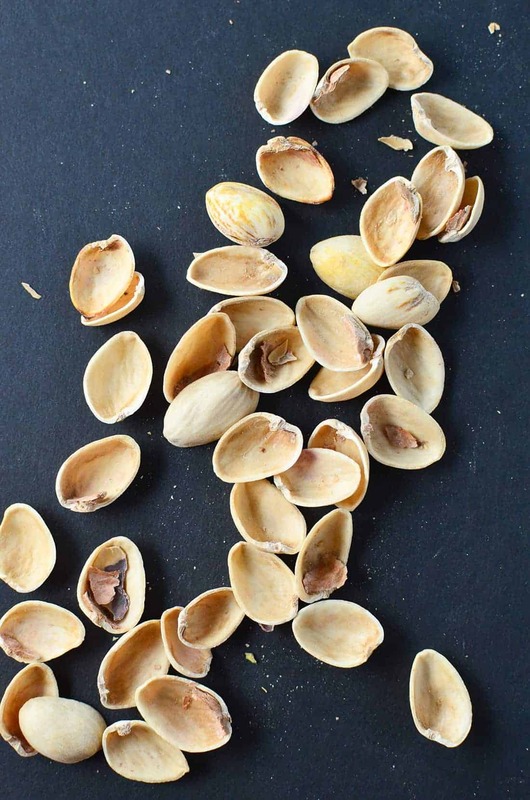 The premise is that the consumption of in-shell pistachios encourages slower eating while the leftover shells offer an important visual cue regarding the amount consumed. With snacking, the mindless part often comes down to not focusing on how much you are actually eating. We tend to snack in the car, in front of the TV or at work. Therefore, our minds are distracted and not focused on how much we are actually eating. In-shell pistachios provide a great “visual cue” of portion size. 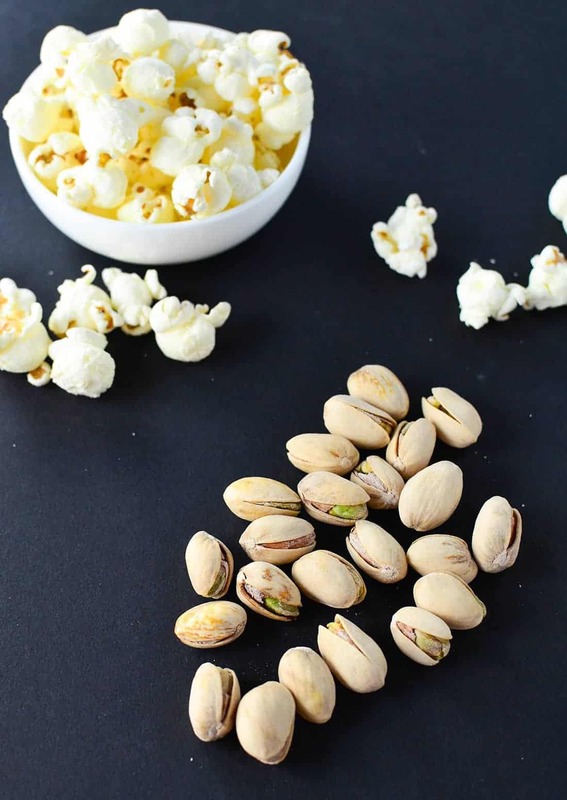 “Pistachio Principle” research found that participants who consumed in-shell pistachios ate 41 percent fewer calories compared to those who consumed shelled pistachios. 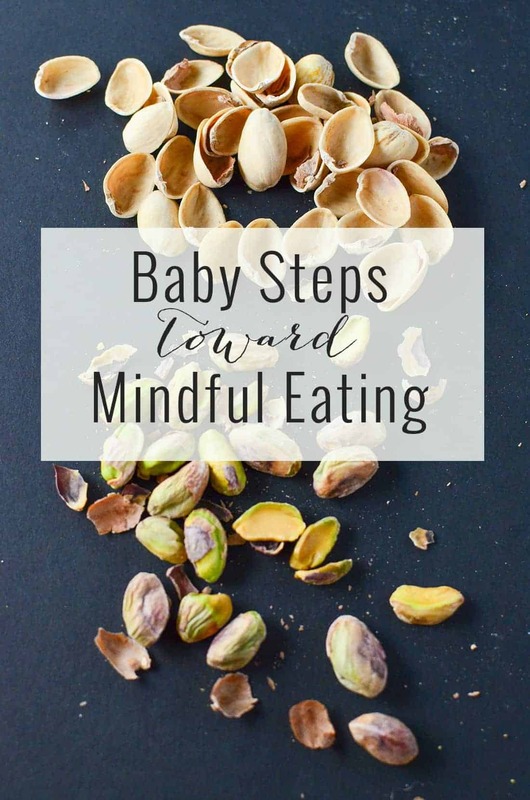 I love this idea and think it’s the perfect way to modify your snacking behavior to a more mindful way of eating. It’s still amazing to me that dish size has such an impact on the way we perceive portions. To summarize the research, you should eat from smaller bowls, which may help you eat less food while still feeling satisfied. Additionally, drink from tall, slender glasses rather than short, wide glasses which will help make you feel fuller on fewer calories. Brian Wansink has done fascinating research on this concept if you are interested in learning more. Before you eat, dish out your portion based on your hunger levels. Instead of taking a “correct portion size”, ask yourself- how hungry am I? How much food do I need to nourish me in this moment? Strangely enough, bright lighting and fast music may encourage you to eat faster and consume more calories (hello fast food restaurants and busy offices!). One study suggests that when participants were instructed to eat at a fast or slow rate, consuming food at the slow rate helped participants achieve satiation quicker with less food. To try out the ‘Pistachio Principle’ myself, I paired healthy in-shell pistachios with air-popped popcorn. 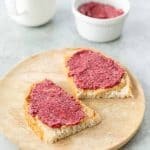 This pairing is perfect for those who want to start with mindful eating during snack time. Popcorn is similar to in-shell pistachios; you can enjoy a larger serving of it for fewer calories than other traditional snacks. Which, if you are leaning into intuitive eating for weight loss purposes, is an easy swap to make. Try this pairing at snack time and see how you feel. Do you notice a fullness shift in seeing the remaining pistachio shells? 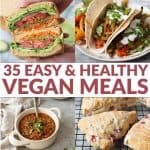 What tips do you use to practice mindful eating? Any baby steps to share? I never would have thought of shells as a reminder of how much I’ve eaten. I try to use smaller plates and bowls too, otherwise it’s too easy to simply fill them up without thinking about it.